Q: Could you provide our readers with a brief introduction to Open Invention Network? A: While our patent portfolio is of considerable value – on the order of hundreds of millions of dollars – any person or company can gain access to OIN’s patents for free, as long as they agree not to sue anyone in the collection of software packages that we call the “Linux System.” A new licensee also receives royalty-free access to the Linux System patents of the 2,200 other licensees. In essence, a licensee is agreeing to support patent non-aggression in Linux. Even if an organization has no patents, by taking a royalty-free license, they gain access to the patent portfolio and an unrestricted field of use. Q: When did OIN start, and how has its mission and community grown? A: Open Invention Network was founded in 2005 as Linux and open source software were in the early stage of adoption in corporate and government environments. Since that time, Linux and open source have become very prevalent. Today, the average person has an almost countless number of touch points with Linux and open source software on a daily basis. Search engines, smartphones, Cloud computing, financial and banking networks, mobile networks and automobiles, among many other industries, leverage Linux and open source. As Linux development, distribution and use have grown – so to has the desire of industry thought-leading businesses and organizations to join the Open Invention Network. In addition to the benefit of accessing hundreds-of-millions of dollars in patents, becoming an OIN community member publicly demonstrates an organization’s commitment to Linux and open source. These factors have led OIN to grow at a very significant pace, over the last five years. We are now seeing new community members from across all geographic regions as well as new industries and platforms that include intelligent vehicles, NFV telecommunications services, e-commerce, IoT, blockchain digital ledgers and embedded parts. Q: You have made references to a “No Fly Zone” around Linux, what is that? A: At the heart of OIN community is the organization’s powerful cross license. Any organization, business or individual can join OIN and get royalty-free access to its patents. Even if a potential licensee has no patents. The key stipulation in joining OIN is that community members agree not to sue anyone based on a catalog of software libraries we call the Linux System. This means that the community seeks positive, healthy growth by promoting shared innovation in Linux and core open source technologies. For bad actors looking to leverage patents to hinder the growth of Linux and open source development, distribution and use — we have strategic patents that could be leveraged in countersuits. However, as the benefits of shared innovation become more widely understood, more organizations and businesses continue to see a significant value by joining OIN. Q: How much of your community is U.S.-based vs. international? A: As I stated, we have more than 2,200 community members. 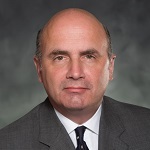 Our Board member companies are a strong mix of U.S., European and Asian technology industry leaders. As open source projects grow in scope and adoption vertically and horizontally across industries, so too has its importance internationally. Today, our community members’ mix is approximately 35% U.S., 42% European and 23% Asian-based companies. In 2014 Asian-based companies were only 14% of our community. As you can tell, over the last few years our fastest growing region in the OIN community has been Asia. Q: You’ve recently announced that JD.com joined the Open Invention Network community; could you tell us more about that? A: JD.com is a prime example of horizontal industry growth and geographic expansion that Linux and open source are enjoying. JD.com is China’s largest e-commerce company and retailer by revenue. Its e-commerce platform and backend systems leverage Linux and other open source projects to rapidly and reliably introduce new innovations and improve the speed, functionality, and stability of their infrastructure. We greatly appreciate JD.com’s global e-commerce industry leadership in joining OIN and supporting patent non-aggression. 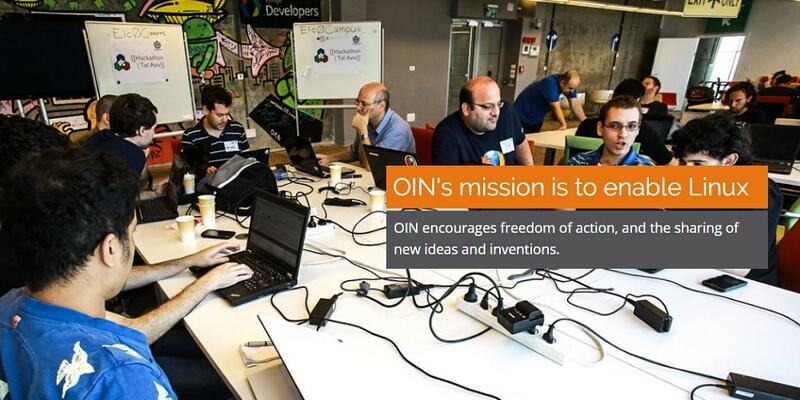 By joining OIN, they are publicly demonstrating their commitment to patent non-aggression in open source. Q: What is your view of the continued growth of open source and potential patent issues? A: We believe that Linux and open source software adoption is an irreversible trend. We see more companies, with a heritage in developing proprietary software and systems, beginning to significantly leverage open source projects or components. We see this as recognition by these companies that their success does not have to come solely through proprietary software and standards. If these tech companies can behave as good open source citizens, they will reap the benefits of innovation and cost efficiencies derived through the development, distribution and use of Linux. Our role is to ensure that all open source software developers and distributors have a level playing field, where their products and services effectively compete in the marketplace. We will continue to ensure that businesses that use open source will succeed or fail based on their merits of the offerings; instead of being hindered by organizations looking to leverage their intellectual property to stifle competition.